In 2017, kids matched odor molecules to olfactory receptors to make the lizard's brain light up using this circuit board (pictured above). Children and their families learned about how different receptors respond to different odors, and about the accessory olfactory organ called the vomeronasal, or Jacobson's, organ. The Foundations in Science and Math courses at IU are offered to high school students and taught by graduate students. I was invited to give a brief lesson on reptile adaptations in the Zoology (Animal Diversity) course. 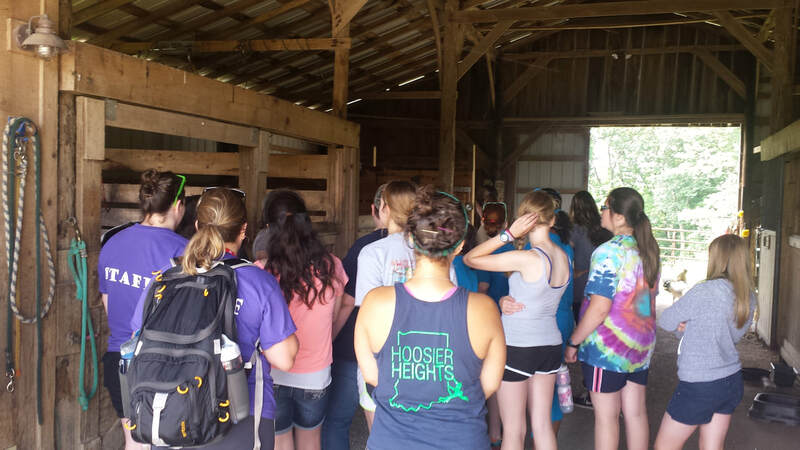 ​Girls Inc. paired up with Marble Hill Farm (owned and operated by IU faculty Drs. Kip and Whitney Schlegel) for a week of science activities. Young ladies ranging from 12-16 years of age visited Marble Hill Farm to learn to record, make predictions about, and design experiments addressing research questions about the behavior of animals. 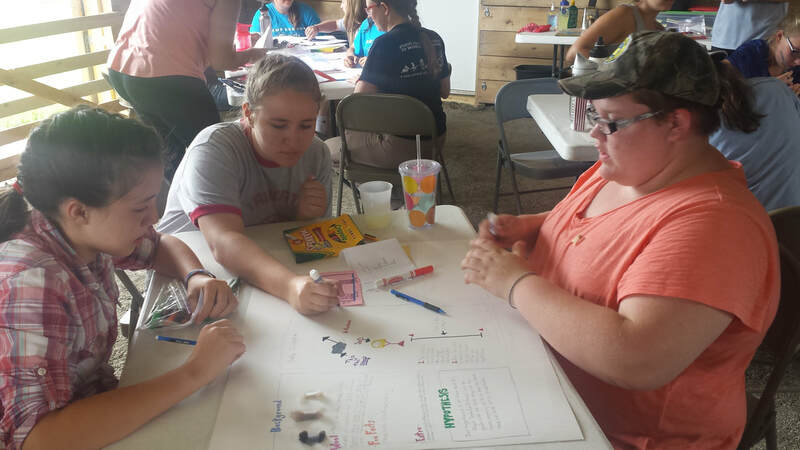 All participants collaborated in small groups to design and run an experiment of their own in chickens, cattle and sheep. Then, students crafted a research poster to share their results with the other groups. Participants also learned about farm to table foods, pheromones, form and function of animal skulls, and learned to create natural dyes and paints, among other activities. The Hoosier Association of Science Teachers Inc.